Millions of dollars in community improvements may now come from local tax dollars rather than the contributions housing developers pay as part of zoning approvals for new projects. WASHINGTON — From new schools to new roads and parks, millions of dollars in improvements may now come from local tax dollars rather than the contributions housing developers pay as part of zoning approvals for new projects. Virginia Gov. Terry McAuliffe signed proffer changes into law this week over the opposition of a number of local governments across the commonwealth. Proffers are often used to pay or provide for all or parts of schools, parks, roads, libraries or other community amenities. Supporters say the changes will cut down on unreasonable costs developers pay that can be passed on to people who buy new homes. Opponents, such as Loudoun County Board Chairman Phyllis Randall, asked for exemptions for Northern Virginia to maintain developer requirements that Loudoun County says help it keep pace with growth, pay for affordable housing and cover broader transportation improvements. Fairfax County and Prince William County leaders also opposed the law, and Fairfax County staff agree with much of Loudoun County’s assessment. Developers and some realtors who back the law say it could lower the prices of new homes by lowering the costs for developers. Like Loudoun County, Fairfax County is still trying to figure out the complete impact of the law, which will apply to residential zoning and rezoning applications filed in July 2016 and beyond. Fairfax County’s current proffer system has been in place since the 1970s when rapid growth led to calls for developers to cover the costs of increased traffic and other impacts of new developments. The new law puts the burden on the county to show that proffers are reasonable, and only address impacts “specifically attributable” to the proposed new development. Also, the law requires that the development see a direct and material benefit, and the law gives the developer the right to take the case to court. That could mean things that had been offered in the past for certain new interchanges, parkways, entire schools, fire and police stations or libraries might not meet the new standards. Proffers are considered to be offered on a voluntary basis, but once they are approved, things such as landscaping, design or other promises become a permanent part of the zoning rules that must be followed for a property. Fairfax County legislative staff says it believes the Board of Supervisors could designate any areas they choose that meet the requirements for an exemption. (Courtesy Loudoun County Office of Mapping and Geographic Information) Click on image to see it larger. There are exemptions to the limits in the new law for specific areas around Metro stations, other transit services and areas with certain other mixed-use or multistory development. Fairfax County legislative staff, in preliminary analysis of the law, says it believes the Board of Supervisors could designate any areas they choose that meet the requirements for an exemption. A staff report prepared late last month suggests the areas around all of Fairfax County’s Metro stations, the Annandale Community Business Centers, Dulles Suburban Center, Merrifield Suburban Center, Fairfax Center Area and Richmond Highway Corridor Area could qualify for the exemptions. But the Centreville, Flint Hill, Lorton, Baileys, Seven Corners, Kingstowne, McLean and Springfield areas are likely covered by the new law’s restrictions. In those areas where the new rules apply, the developer contributions may not be allowed to include sidewalks, crosswalks, bike projects or shuttles for residents to VRE or Metro stations. Initially, Loudoun County believes the new rules would apply everywhere except for around the Loudoun Gateway and Ashburn Metro stations that are scheduled to open in a few years as part of the second phase of the Silver Line. 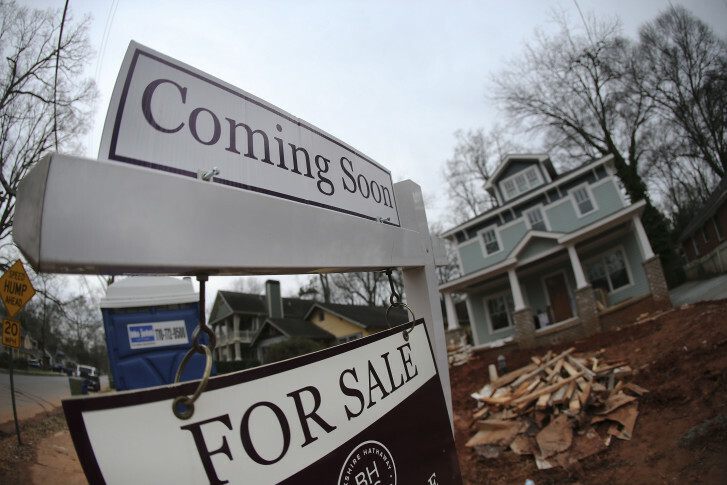 Fairfax County’s Department of Planning and Zoning calls the proffer system the “major tool” used to ensure that people who buy homes can be confident in what their neighborhoods will look like in the future. However, a 2009 outline of the proffer system recognized several issues with the system. “Applicants are not always willing to volunteer commitments early in the process before they know the full extent of the issues that may be identified or whether or not staff will be recommending approval of their proposal. This reluctance may lead to delays in resolving the issues. In addition, some applicants are reluctant to make certain commitments until they ascertain whether staff’s identification and evaluation of development issues is shared by the public and by the District Supervisor and Planning Commissioner,” the outline says.